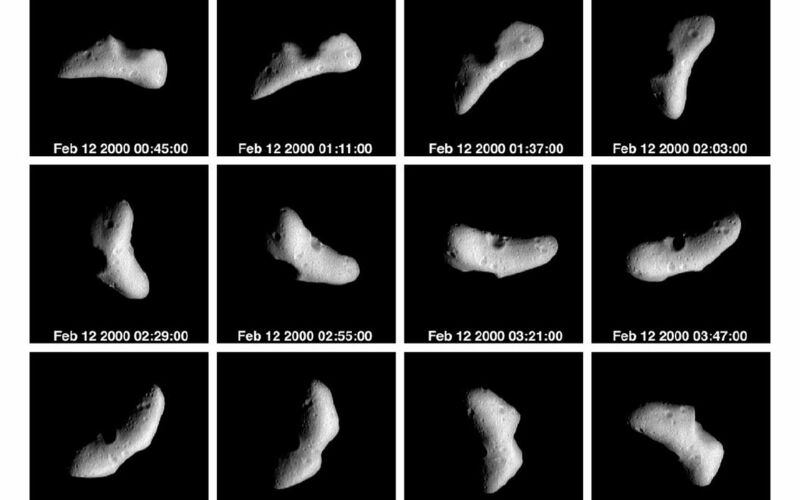 On February 12, two days before NEAR's insertion into orbit around Eros, during a five-hour time span the spacecraft's Multispectral Imager recorded these pictures of the asteroid spinning on its axis. 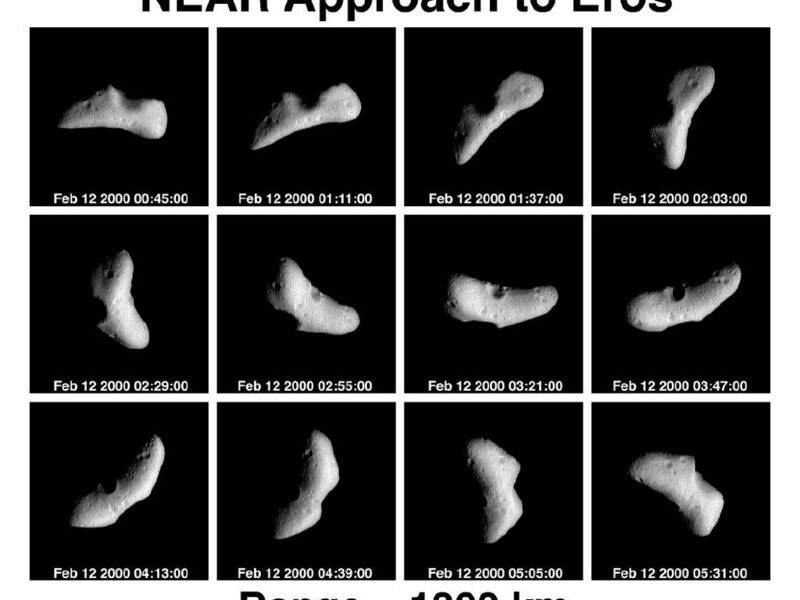 This view, looking down toward the rocky body's north pole, is generally similar to sequences taken on February 6, 10, and 11. 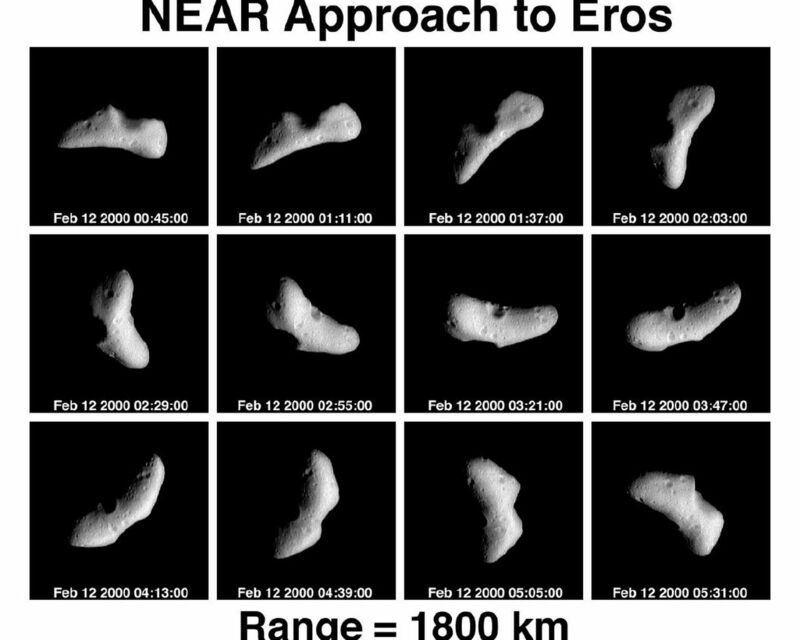 But the spacecraft was much closer to Eros (about 1,800 kilometers or a little over 1,100 miles), so the pictures are much sharper. Features as small as a 590 feet (180 meters) wide can be seen. The most prominent, sharp-rimmed impact crater is on the opposite side of Eros from a huge, hollowed-out gouge, which may also have been caused by an impact. 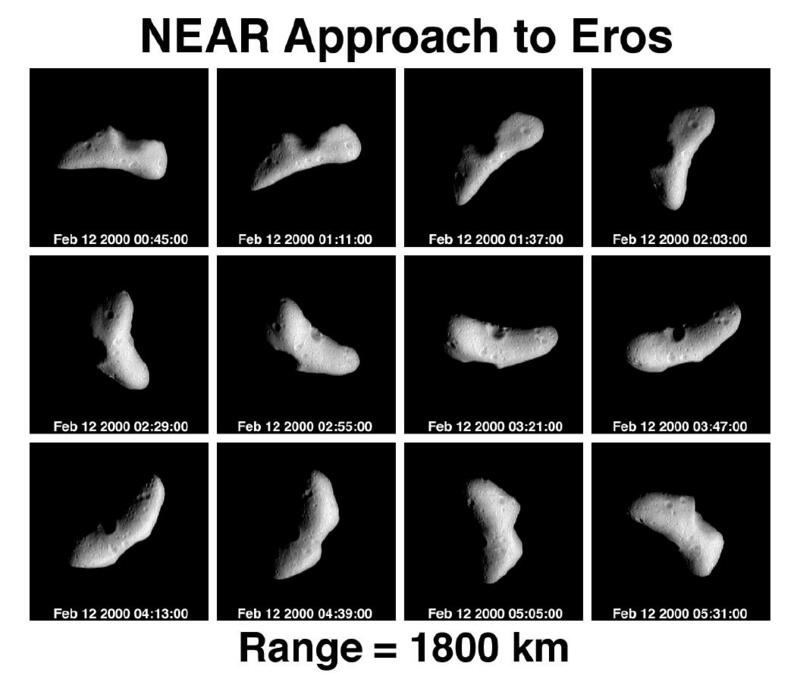 Between these features, and towards the ends of the "fat banana" shape of Eros, the asteroid's surface is covered with smaller craters.